The Government has revealed that it will borrow 20000 crores more than what it budgeted and force the RBI to transfer 13000 crores from funds meant for contingency reserves. This means that the finance ministry acknowledges that it will breach the fiscal deficit target it set for itself without any meaningful stimulus given to the Indian economy. It is apparent that the Government has missed collecting the expected revenues from both direct and indirect taxes. 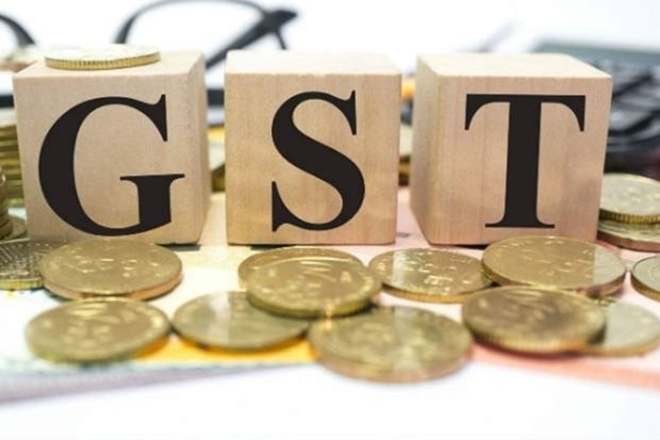 The GST collection has declined steadily with every passing month. The collection for the month of December was estimated at around Rs.80828 crores provisionally. There is no clear information whether input credits have been accounted for no registered user has managed to get credit even for the month of July. The CSO estimates reveal that the growth rate for the current year will be definitely lower than the previous year. The consumer price index will be at a higher level than the previous fiscal. The ruling party came to power by accusing the previous Government of inept handling of the economy and policy paralysis. Even conceding the advantage of enhanced GDP calculated by the new method, the record of growth under this Government is well short of the average growth rate achieved during the Dr. Manmohan Singh era. The average growth rate of UPA1 and UPA2 was 7.2%. In the four years of the current Government the macroeconomic indicators looked deceptively stable largely due to the fact that the bonanza of low crude prices was usurped by the Government in the form of usurious taxation levied on petroleum products. Now that crude prices have shot up trade deficit is widening and current account deficit has reached 1% of GDP. Thus the picture has become less flattering over the last quarter. There are two reasons for the failure of merchandize exports not growing at the targeted rates. The Indian rupee is 22% over valued in real effective exchange rate terms according to Reserve Bank of India. This makes our exports highly uncompetitive in global markets. Bangladesh and Vietnam have been more nimble and pro active in offering a friendly business environment and better logistic facilities to enable their exporters to grow and become more competitive in the western markets. During several preceding quarters there has been a marked decline in private consumption and private investments. This is corroborated by two economic indicators. Anemic growth in bank credit over the last several quarters. Lack of demand for credit means lesser investment because factories are not able to make fresh investments. This is because existing capacities are not being fully utilized. The serial decline in the confidence of the purchasing managers of the top corporate. The NIKKEI purchasing managers’ index has been declining for a several quarters which mean that there is no interest in ramping up investments in the near future. The Government has breached the fiscal deficit in the first nine months of the budgeted year. This coupled with the fact that crude prices are raising in the world markets means inflation will not come down in a hurry. Bond yields have shot up to 7.4% from 6.5% in August. This will mean that there will be higher interest rates in the economy and PSU banks have to provide for a higher mark to market loss further constraining credit expansion. The farm sector is in distress showing marginal growth in the last quarter. Farmers have been in distress due to inadequate raise in minimum support price. All the above facts and data points indicate that the Indian economy is growing at a lower rate than the previous year and inflation at the retail level being much higher than the previous fiscal. This is a textbook case of stagflation. The Government needs to act swiftly to revive growth with policy initiatives prod financial institutions in their control to expand credit to the small and tiny sector at a faster rate. Resolve the log jam in the GST regime and ensure that input credit is released to the several million registered vendors. One sure and quick way to cool inflation would be to bring petroleum products under the goods and services regime. This will leave money in the hands of the people and stimulate private consumption. The author is the President of All India Professionals’ Congress – TamilNadu.